With the proliferation of cameras in airports and cities, a key component in modern surveillance system is how to organize and search biometrics of people. 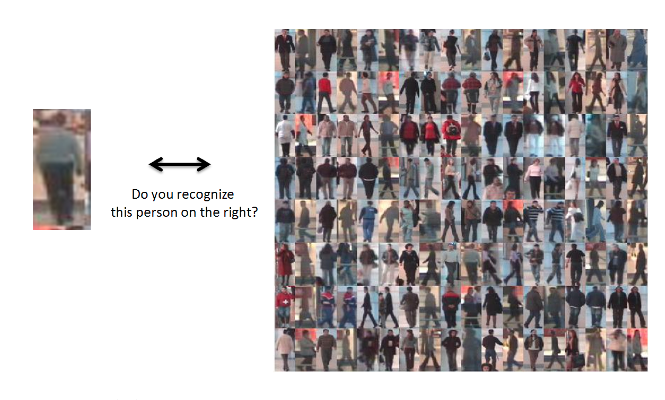 A biometric detail that identifies a person has recently emerged in computer vision and it is the whole imaged body of the person itself. For this reason a system that is able to search over a large database of imaged body people could be a great toolkit to help in the task of searching for a person in a tangle of networked cameras of an airport. Main work of Giuseppe Lisanti and Iacopo Masi. We provide two source code that together can boost performance of person re-identification algorithm.